Vermonter Mike Sipe began photographing the pristine waters of the Lake Champlain region about fifteen years ago. His initial vision was a coffee-table book, sharing the beauty with the world with one hundred, sharing-quality images. He captured thousands of images, with thirty-five images to be included in OUR BASIN OF RELATIONS, The Art and Science of Living with Water, coming in early fall from GWP. About five years ago a weightier purpose for the book, hit Mike like a brick—WATER QUALITY—the lake water quality is deteriorating with dangerously high levels of phosphorous, toxic enough to close swim areas, threaten drinking water, and maybe even harmful to breathe! Blue Green algae is not that good to look at, either. This algae bloom problem is not unique to Lake Champlain. 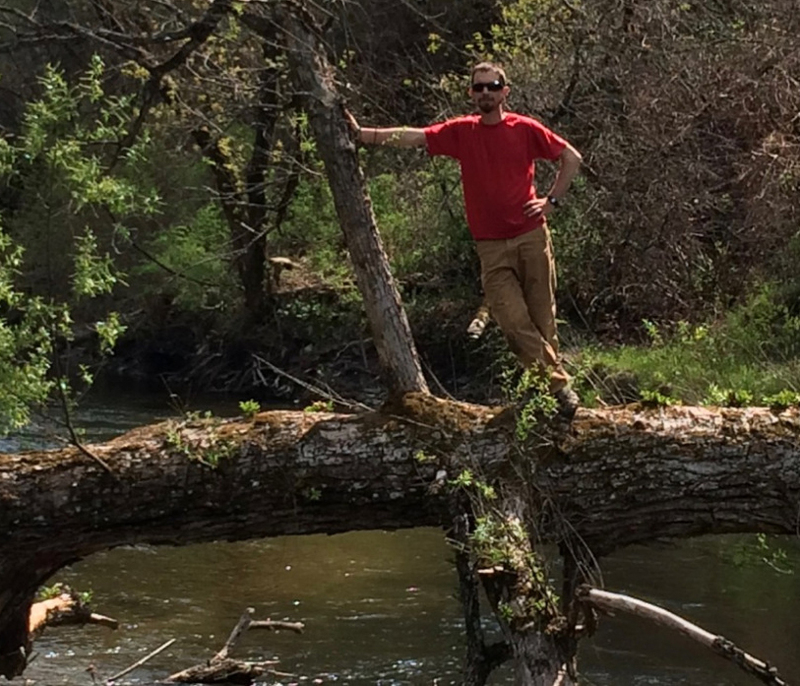 A few years ago, Mike got involved with the Vermont Clean Water Network, realizing that most of us aren’t aware of the issue, and he was eager to learn how to help preserve the Lake Champlain’s watershed ecosystem. Editor Trevien Stanger on the shoreline of Lake Champlain. A couple of years ago, after Mike joined the Vermont Clean Water Network, he became aware of an article in the Burlington Free Press, called Thinking like a Watershed. The article was written by environmental teacher, writer and poet, Trevien Stanger. According to Mike, he loved the article and knew he had to marry his photos with Trevien’s word wizardry—and do his part for clean water—albeit small. When Mike and Trevien came to GWP publisher Dede Cummings, she immediately jumped at the chance to publish the book but explained to the intrepid team of environmentalists that there was no budget for such an expensive book. After much discussion, the publisher came on board and will also donate the design and layout fee of $2,000 to the project. The book will be available in the late summer of 2019 if the fundraising goal of $10,000 is met. Trevien Stanger is the curator of nearly fifteen articles by water quality advocates in OUR BASIN OF RELATIONS, The Art and Science of Living with Water. Trevien wrote the introduction to the book and it is reproduced on Mike’s website, www.MikeSipe.com, under the tab OUR BASIN OF RELATIONS. We invite you to read Trevien’s introduction, be inspired, consider some level of sponsorship to help publish OUR BASIN OF RELATIONS and have proceeds from the sale of the book go to clean water projects. Book sponsorship details are at the end of this article and there will be a list of sponsors in the book (and logos of organizations). GWP is a LC3 which means we can partner with nonprofits with no tax. Individuals wishing to send a tax-free donation, can contact us and we have an umbrella nonprofit/fiscal agent for this project. If you wish to help us fundraise for printing this gorgeous book, we will mail you a 16-page BLAD (Basic Layout And Design) of OUR BASIN OF RELATIONS to help you decide about sponsorship of the book. you can also view the BLAD by clicking this link: Our Basin BLAD inside Dec21 lo res and downloading/viewing the PDF on your computer. This entry was posted in Climate Change & Action and tagged clean water, conservation, environmental, Lake Champlain, pure water, vermont, water is life, watershed on January 24, 2019 by Dede Cummings.